In “master of the legal thriller” (Chicago Sun-Times) John Lescroart’s electrifying new novel, attorney Dismas Hardy is called to defend the least likely suspect of his career: his longtime, trusted assistant who is suddenly being charged as an accessory to murder. John Lescroart is the author of twenty-eight previous novels, including the New York Times bestsellers The Ophelia Cut, The Keeper, The Fall, and Fatal. His books have sold more than ten million copies and have been translated into twenty-two languages. He lives in Northern California. "Lescroart’s novels are known as much for their abundantly human characters as they are for their rigorously plotted stories, and this one is a showcase for both of those attributes. Also impressive is the way Lescroart has kept his long-running series fresh by allowing Dismas to grow over the years. . . . Lescroart is a certifiable A-lister. His series entries and stand-alones always draw a crowd." "Lescroart plots so cleverly that he has you believing his split-level thriller is really a single foreshortened novel. The perfect read for those who agree that "it's only trouble if somebody's shooting at you." “Enthralling… Sharp dialogue and a timely plot help make this entry a winner." 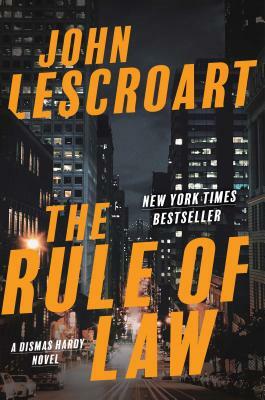 "The Rule of Law is vintage Lescroart, drawing on parallels between real-life and hot-button issues while also providing top-notch entertainment." "Neither [John Lescroart] nor Dismas Hardy has ever been better."